Just cause I'm tired of hearing it. Yes, historically, ships only carried as many torpedoes as they had tubes. Historically, torpedoes were only visible withing the "you're already doomed" range, and all ships could single fire their torpedoes. Also, many IJN Destroyers carried reloads on ship, allowing them to carry double the torpedoes compared to their launchers. The torpedoes are nerfed from their historical strong points, and in return destroyers were granted reloads. You are the reason I love Radar Cruisers. I've seen so many people crying about how destroyers have reloads in the game on the forums today, I decided to make an educational post about it. Nothing But I don't like the BB comment Those type of comments are to many generalizations. I play all three ship Types and find it rather annoying the lumping of stereotypes. Other than that, a forum search just doesn't turn out the myriad of posts or threads of BB players complaining about DD reloads that you are claiming. As @CLUCH_CARGO put so well, I sail forth into the great wide WoWs seas in DDs, CAs, CLs, and BBs. I don't have a problem with DDs being able to reload torpedos for the reason that you stated, for game balance. 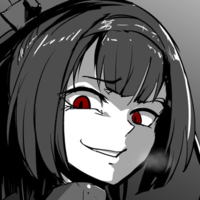 But to say that a few IJN DD classes had the ability to reload torpedos, which at most was one reload, and compare that to how DDs play in WoWs is laughable. I'm tired of hearing people say cucumber is boring. Tonight, I put on a seminar exploring various beer styles and their histories in North America, and one of the beers I offered was a cucumber and lemongrass infused pale ale from Muskoka Brewery. It was awesome. So, I drank a bunch of beer, and now that I'm home, I got a bit peckish, so I went to the fridge, found a cuke, cut 'er up with some cremini mushrooms and just slathered them in Hidden Valley ranch dressing. Now, here's the important part: only introduce the simulated bacon bits after you fire that ole' ranch in there, cuz then they stick to everything. Anyway, end result: man o man, cucumbers are some good stuff. I'm special, I can eat torps in all four classes of ships, and do it regularly! Type. Not classes. What are you, some sort of Albertan? Northern Ontario, same as Alberta minus the oil and plus the black flies. You’ve obviously never read “Destroyer Captain” by an IJN Captain who was heavily involved in the use of the famous long lance torps. They were much less effective than legend has it. Theoretical capabilities, and actual combat experience are two very different beasts. YOU TAKE THAT BACK! NEVER conflate Ontario with Alberta! AS beautiful as Alberta is, it's full of filthy Albertans*. You, at least, blackflies be damned, are from a reasonable place in the world. For those of you good American folk following along, Alberta is a province that is like the Canadian version of Florida, but with crappy weather and if most Floridians thought they were Texans for some reason. Just the worst. Nice mountains, though. And Drumheller is a pretty cool place. Look it up. *Albertans aren't really filthy. I guess some are bound to be, but on the whole, they're just like everyone else, just dumber**. ** Albertans aren't actually dumb. Well, a lot are, but that's normal everywhere. Saskatchewaners, on the other hand.....I'd say something about how they aren't really dumb either, but I don't believe most can read anyway, so who's it gonna chafe? I agree. There are lots of torpedoes but experienced players seem to be able to avoid them fairly well. I am learning to do this as well (with mixed results). Hands down, the vast majority of naval tonnage sank in the Pacific Theater during WW2 was done by the US silent service. I would venture to say that the same holds true for the Atlantic and the German wolfpacks. Cucumbers, man! They are torpedo shaped, to be sure, but this thread is now about how underrated cukes are! What are you, some kind of Albertan?? I really like cucumbers! They are the bestest veggie! I apologize for interrupting the thread hijack. I'd +1 you for this, but I'm outta plus ones. I flatulated reading these posts. I heard that cucumber will do that to you. No wait, it was torpedoes. And they make you crap your pants instead. My best friend's wife had an affair with a cucumber for a few weeks. In the end, it got pretty messy. Like it or not people compare the game to real ships and actual war. Like it or not no destroyer sunk a battleship. DD's get buffed & BB's nerfed to balance the game and that will continually be a topic for debate. The ending to this story sounds wide open. ANOTHER reason to like cucumbers! Cats hate them!